The American Mission Corner Computer Desk is a great space saving solution for your home office. Utilize your unused corner space with this solid wood desk that fits perfectly into any corner. Choose your wood, finish, and drawer options for a custom desk that will last for generations. 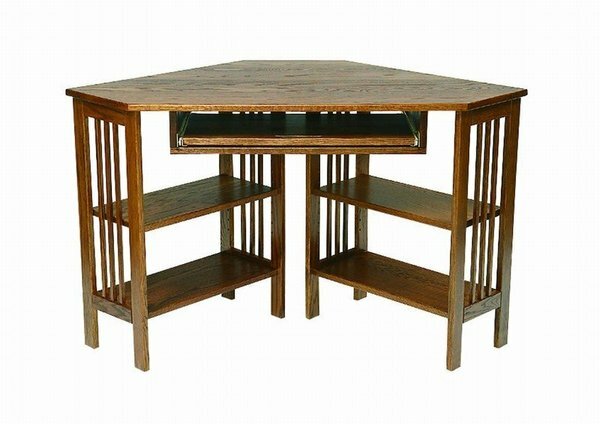 Contact one of our friendly Amish furniture specialists today for additional information & custom ordering assistance on this stunning Mission Style Corner Computer Desk. NOTE: This item ships in three pieces. Some assembly required.